Defected’s summer annual is back, combining their club predictions and sunshine sounds of the season, for the first time ever mixed by Defected long-time resident Sam Divine, who takes the baton for collating and mixing the annual compilation from label head Simon Dunmore. 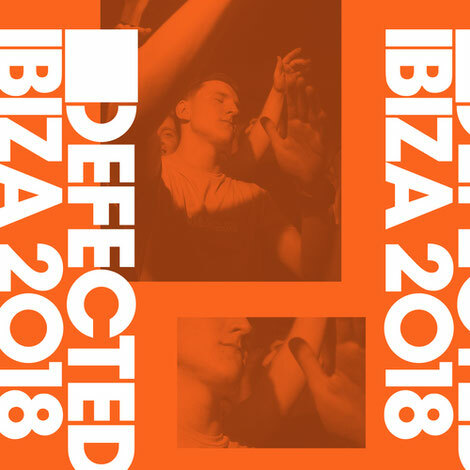 Ahead of Defected returning for its second Ibiza season at Eden, ‘Defected Ibiza 2018’ comprises nearly 50 tracks that may be going off in clubs across the island and beyond. Three bonus DJ mixes courtesy of Sam Divine take you from poolside to party, featuring plenty of upfront material alongside old favourites to bring back happy Ibiza memories. Fresh highlights include the new mix from Purple Disco Machine of Shakedown’s ‘At Night’, Peggy Gou’s ‘It Makes You Forget (Itgehane)’, Kerri Chandler & Jerome Sydenham ‘Powder’ (Jimpster Remix) and Fish Go Deep ‘Don’t Need Me’. More established additions include Tiefschwarz featuring Mama ‘Coporate Butcher’, Franky Rizardo ‘Heater’, Kenny Hawkes & Louise Carver ‘Play The Game’ and Dennis Ferrer featuring Tyrone Ellis ‘Underground Is My Home’. Ranging from big tunes to underground tracks, covering soulful, tech and deep house bases, Sam has selected tracks to get you summer ready.